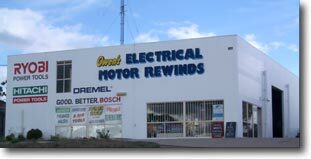 Owen's Electric Motor Rewinds Gympie - Generator & Electric Motor Repairs. Jeff Owen and the team at Owen's Electric Motor Rewinds are the experts in repairing electric motors and generators. Located in Gympie in South East Queensland, Owen's Electric Motor Rewinds repair motors and generators from all over Queensland and Pacific. With large machine tools and skilled technicians, Owen's have the ability to repair a full range of generators and electric motors. Our skilled staff can repair your motors and generators to meet original specifications. 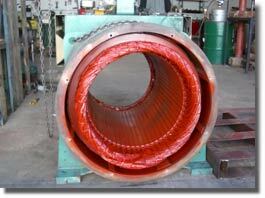 We specialise in motor rewinds and generators to 1000V and overhauls to 3300V. With computer programming we can redesign electric motors for different voltages and frequencies. We can provide field service to remove and reinstall generators and provide balancing and alignment services. Depending on the extent of repairs required, delivery can usually be made within one to four working days. When you have a generator or electric motor failure, contact Jeff at Owen's Rewinds on 07 5482 7171.